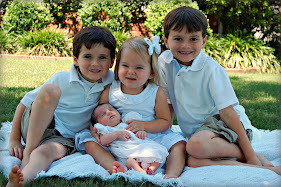 Heart of the Home: Our fifth child - and my VBA4C! Our fifth child - and my VBA4C! VBA4C?!? I mean, seriously, what crazy person attempts a vaginal birth after four c-sections? What about the risks and possible complications? Wouldn't it be easier to just have that fifth c-section? So, why not have another c-section? My husband, Gregg, and I may want more children. We both agreed that having any more than five c-sections was just too much of a risk on my health. Honestly, the odds were not in my favor. Wait, wait...I'm not talking about rupture statistics. Through ICAN (www.ican-online.org) I was quickly made aware that the risks were definitely higher in attempting another c-section. So what wasn't in my favor? Almost every doctor in the area. Almost every hospital in the area. Except one...Dr. Davis and UAB. This doctor and this hospital were willing to provide me the means to try for a vaginal birth. But the odds were still against me. For this vaginal birth to be a success so much had to be just right. I had to go into labor on my own, baby had to be head down and not posterior, baby's heart rate couldn't decrease at all during labor, and lastly my c-section scar couldn't rupture. None of this would be possible without the grace of God - so I prayed and I trusted He would have a hand over it all! When I started out on my VBA4C journey I was determined to do everything within my power to make it happen. My first pregnancy ended up in a c-section because of mal-position and because after having an epidural I had no idea how to push out a baby effectively. So, my first decision - this baby was to be born naturally. If you know me, you know that pain is something I'm not a fan of and am also completely terrified of. So, my second decision - hire a doula that would help me through the pain of childbirth. I checked references and found the best doula (seriously, she is!) in all of Birmingham - Fredia Nelms. Armed with my doula and loads of reading and watching birth stories my pregnancy advanced. I warned Fredia ahead of time that my babies come early. Child #1 came at 37 weeks, child #2 at 37 weeks, child #3 at 36 weeks, and child #4 at 35 weeks. I was certain we would be having another early baby. Sure enough at 33 weeks the contractions began. And they continued for 6 whole weeks. It became a regular thing for me to be up all night with contractions 10 minutes (or less) apart for hours. Several times I was sure "this was it" and would text Fredia. By 38 weeks I was certain I was going to start screaming at her if she told me I was just having false contractions again. Did she not hear me? These things hurt! They most certainly were not false! Thankfully, she knew my body better than I did and advised me to rest instead of rushing off to the hospital. Each time the contractions would fizzle out and I would mope around fat and miserable. Friday night - July 18th. I was just a couple days shy of 39 weeks. (Did you read that?? 39 weeks! I'd never been pregnant that long!) I had a horrible night of contractions. They stayed 4-5 minutes apart throughout most of the night. I sent my usual text to Fredia the next morning, and she once again told me to rest. I wasn't too mad at her this time because she did add that "you will need the rest if you have this baby later tonight." Seeing that word tonight was thrilling to me! I of course took my doula's advice to heart - and then promptly gathered up my family and headed for the zoo! It was a wonderful day! I think it was needed by us all. That evening, after my heart was full of happiness from our day, I finally settled into bed at about 12:30am. Within five minutes I felt 2 very distinct pops in the front of my belly. I knew exactly what it was! Within 5 minutes the contractions started and I was visibly leaking fluid. I yelled at my husband, Gregg, who was fast asleep. He helped me put towels on the bed so I could lie down and try to rest for awhile. As soon as I laid down a contraction hit and, oh my goodness, it was horrendous! I was immediately screaming. We sent Fredia a text at 12:50am, and after talking back and forth for an hour or so we collectively decided it was time to head to the hospital. I was still screaming through contractions and had decided that there was no way I was having this baby without an epidural. Our friend, Denise, was called to sit with the kids so we could head off to the hospital. She was a Godsend. She was able to start counter-pressure on my back that immediately helped the contractions. She showed Gregg what she was doing so he could take over. I don't know what I would have done without the counter-pressure. It was still horrible, but it would have been so much worse! At 1:56am we sent a text to Fredia, "On our way." This was immediately followed by another text, "I really think I want meds." The contractions were no joke! At about 2:15am we finally arrived at the hospital only to be stopped at the front desk so Gregg could get a nametag. Seriously?? We were then told at triage to have a seat in the waiting room. Again, seriously?? Keep in mind that I am still screaming through each contraction. They finally got me back to triage at about 2:30am. They checked me and found that I was only 5cm. Sweet Fredia had sent me this text on our drive up, "I want you to remember the number assigned to your cervix when you get there is not a reflection of how hard you are working or how far you have to go. It's not the whole picture." With that in mind hearing that I was only 5cm wasn't devastating. Of course part of the reason it wasn't devastating was because I was certain I was going to be getting drugs in the very near future! At UAB they require you to stay in triage until a room is available in labor and delivery. And of course, a room wasn't available right away. Oh, and guess what else, they can't give you drugs until you're in labor and delivery. Didn't they know I was dying? I literally was screaming for God to save me, help me, just make it stop. This is only mildly embarrassing to me now! At 3:04 am we were finally taken to labor and delivery. Within minutes two angels arrived - Fredia and the anesthesiologist. To my horror they both wanted me to be checked before I was given an epidural. At this point the only position that I could handle was standing and leaning over. I somehow managed to make my way into the bed to be checked. I was completely dilated! Oh my gosh - I was complete! I clearly remember Fredia locking eyes with me and telling me I could do this. And all I could think was - crap, I have to do this! I immediately went into a strange sort of primal mode. The ridiculous screaming stopped and I focused on what I had to do. For around 40 minutes I pushed and pushed. I started on all fours at the head of the bed. The doctor quickly got bored with my progress and left leaving just the nurse, Fredia, Gregg, and I in the room. (So much for me being such a high risk patient!) I'm not sure who suggested it but Fredia helped me get into a squatting position at the foot of the bed. I pushed about 15 more minutes and started feeling the burning. After the next push I could reach down and feel my baby's head. I remember Fredia telling me I needed to breath through the next contractions - don't push - the doctor has to get here. But it was impossible not to push. This was the point where I learned that the "ring of fire" was truly no joke! My next push his head came out and with the next our little Stephen Michael came out into the hands of the nurse at 4:06am. I can still hear my husband saying, "Devon, you did it!" My little man was put immediately on my chest! I've had five children and this is the first time I've ever held one of my babies right after they were born. What an amazing feeling! It took me about 2 weeks to really wrap my brain around the entire experience. I truly never thought I would experience a normal delivery of a child. I always questioned whether my body could even do it. And I surely never thought I would do it without an epidural. But I did! My body does work! One of the biggest things I struggled with after the delivery was the loss of my birth plan. I had envisioned this beautiful labor experience. I had a playlist all ready to listen to while I bounced on a birthing ball. The fast, hard labor I had was almost traumatic in a sense. It's taken me until now to accept that things happened just as they were supposed to - just as God planned. If labor had lasted 5 minutes longer maybe I would've ended up getting that epidural which could have changed the entire outcome. So many things might have been different. But they weren't, they were perfect! I know without any doubt that I couldn't have done it without the 2 hours of counter-pressure my amazing husband provided (I had the bruises to prove it!) or the awesome support of my doula! I don't know if we'll have more children, but if we do I'll want both of them by my side once again! And again, Dr. Davis and UAB were amazing. They gave me a chance when no one else would! My husband tells me I need to be humble when telling my story. That's a very hard request because I'm just so darn proud of myself! With the help of God, I did what so many considered to be impossible. 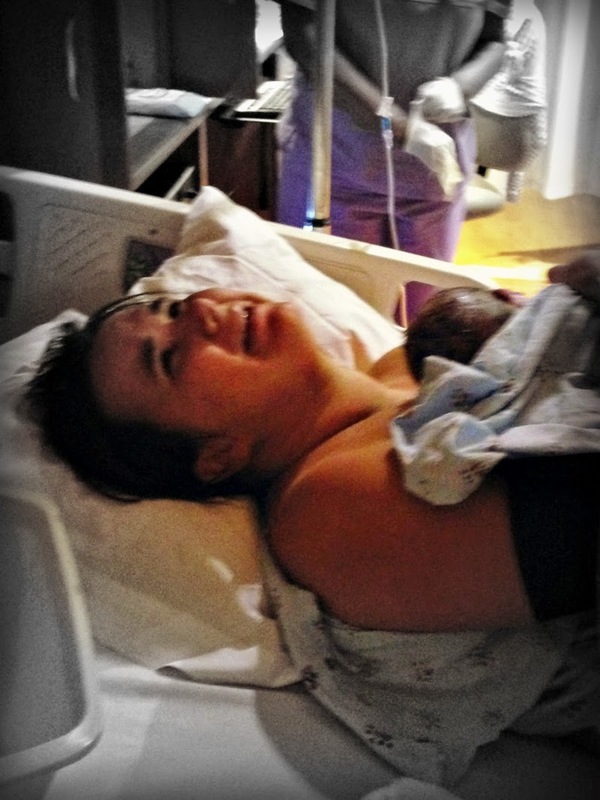 I had a vaginal birth after FOUR c-sections! And I did it naturally! I rocked my VBA4C! I just want to say ROCK ON, mom!!! This gave me CHILLS!!! Congratulations! Congratulations! I cannot imagine there are very many people who can say they have had an unmedicated birth after four c-section. Brag all you want! So glad you and baby are doing well. Wow sooo inspiring! Where r u located? Which dr had the belief in your body?! I'm in Birmingham, AL. The amazing doctor is Dr. Davis at UAB. I can't even express how happy I am for you and how proud I am!! You are a lucky duck that it went so fast. Mine haven't been that quick!! Praise be to God!!! Which Dr. davis? I'm finding three. I'm hoping for a vba3c and no doctor will support it. Your story gave me hope!! Catholic homeschooling mother to five beautiful children and wife to one amazing man! Baby #5 - Awaiting a nickname! Ha. This blog got used! LOL! Noah...may the force be with you!